Anyone who has spent even a minimal amount of time in the world of private equity deal sourcing knows how heavily labor intensive, inefficient and costly it is to unearth the gems that make a strong investment. When speaking with investors in private companies, the typical number of deals reviewed per investment made is an 80:1 ratio. In the life sciences industry, this ratio becomes even more disheartening. It doesn’t take an expert to understand that that is a very low productivity rate – so why does this problem exist in an industry that is often viewed for its uncanny ability to net things out? Fundamentally, it is a problem with sourcing the right information from the right places at the right time. Private equity firms typically source deals in the space using a blend of life science databases, industry-centric relationships that run the gamut from academic labs and start-up incubators to brokers and personal network referrals, and screening mountains of regulatory filings and press releases. The process is costly – both in salary and time – and even those private equity funds with industry-leading proactive origination processes often resort to making cold calls into companies produced by web searches. The reason for this inefficient process is that none of these sources are able to give investors an accurate image of the industry landscape as a whole from the precise perspective they need. Moreover, this problem is exacerbated by the dynamic of development in life sciences. Add to the mix that pharma is now actively targeting products earlier in the pipeline, and in more and more cases it is preclinical investment that is invigorating the new mantra of innovation-through-acquisition. This bodes well for the thousands of emerging biotech’s populating the life science market today – and suggests a strong environment for PE. But how do investors uncover these opportunities and how do they become visible to the entities they want to be discovered by? Typically, the art of finding and filtering starts with generating a list of targets to vet. Traditional databases don’t have an edge. Anyone familiar with traditional data providers knows that markets are mapped using a labor-intensive, top-down approach in which company profiles are prioritized according to the percentage of an industry that they represent. Due to this, most companies in these databases need to reach arbitrary financial and employee metrics before they are able to be tracked due to the resources required to do so. The downside to this approach is that it is costly, often inaccurate, and typically fails to include the emerging enterprises that give private equity investors an edge in the industry. LSN researchers have uncovered and documented close to 2,000 hard-to-find emerging biotech, medtech, and R&D companies to date, and estimate that that represents anywhere to 40-60% of the marketplace. The closer to where the R&D originates in small and emerging life sciences companies, the harder it is to gather reliable, current data. 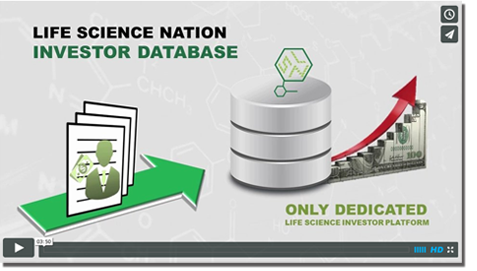 This forces life science investors to basically go at the process region by region, starting with the well-known geographic life science centers looking for the hidden gems. This of course means all the outlying regions are being overlooked where the real hidden investment pipeline filling gems may be! In short, other than arduous, tedious, methodical research, there just haven’t been the tools to get a sophisticated investor a thorough picture of the life science investment landscape. Sourcing key emerging players in the global life sciences community will continue to be one of the ongoing challenges that hopefully can be solved by the next generation of life science information providers.